Disclosure: The Janesville Area Convention & Visitors Bureau hosted my trip to Wisconsin and my visit to Northleaf Winery. However, all opinions are my own. When I travel one of my favorite ways to get to know a new community is by visiting its breweries and wineries. There’s no better way to become immediately immersed in the atmosphere of a new place than by bellying up to the bar to sample something made locally. Northleaf Winery in Milton, Wisconsin is no different. 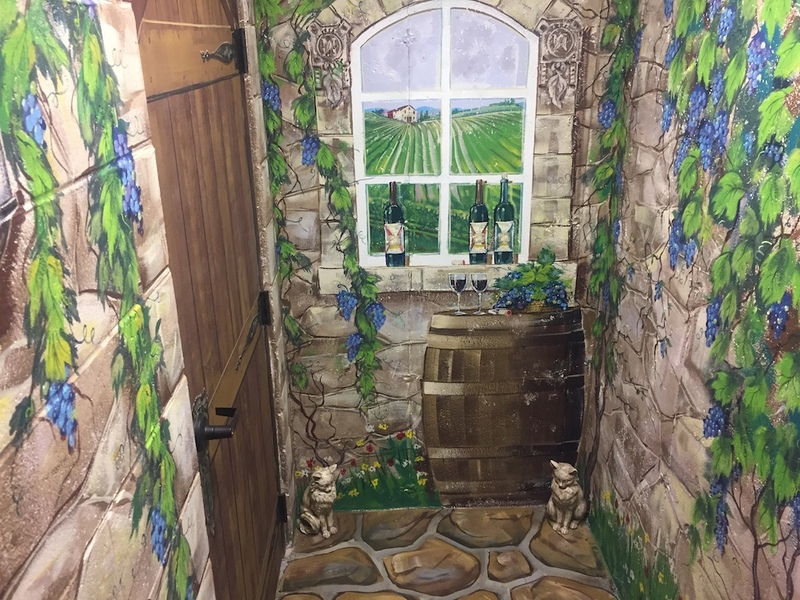 Located just 20 minutes northeast of downtown Janesville, this charming winery is a tranquil getaway brimming with local history. Built in 1850 by merchant John Alexander, the winery is housed in a historic building that was once a wheat warehouse. In 1914 the building became a blacksmith and housed a repair shop for carriages and automobiles, and just over 30 years later it became the Sunnyview Apple Orchard Warehouse. Over the years, the building remained a local landmark and was eventually given to the Milton Historical Society in 1994. 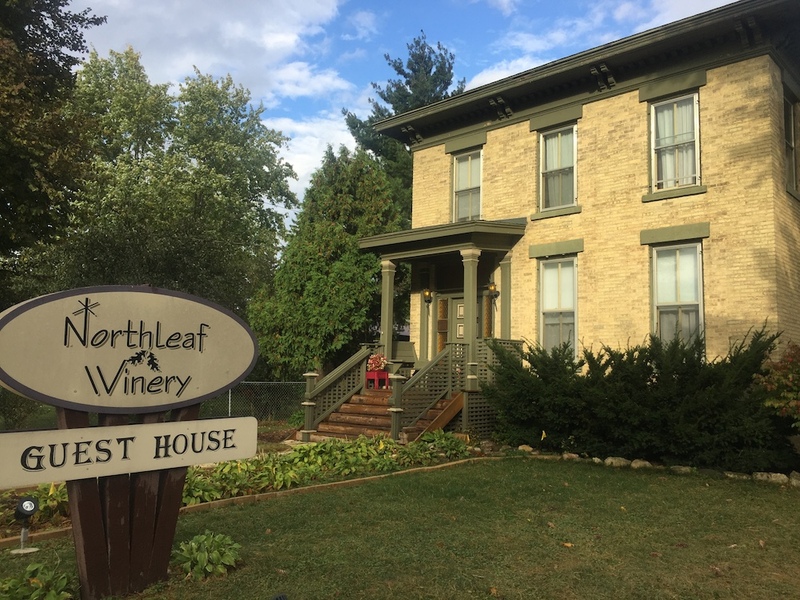 The founders of Northleaf Winery purchased the building from the Historical Society and began restoring it to its former glory in 2007. In February of 2009, the winery opened with a selection of six signature wines. Today the winery offers dozens of delicious blends, which means you’re sure to find something you’ll love. Not only does Northleaf offer a wide variety of wines made onsite. But they also hand make all of their chocolates so they perfectly pair with their wines. 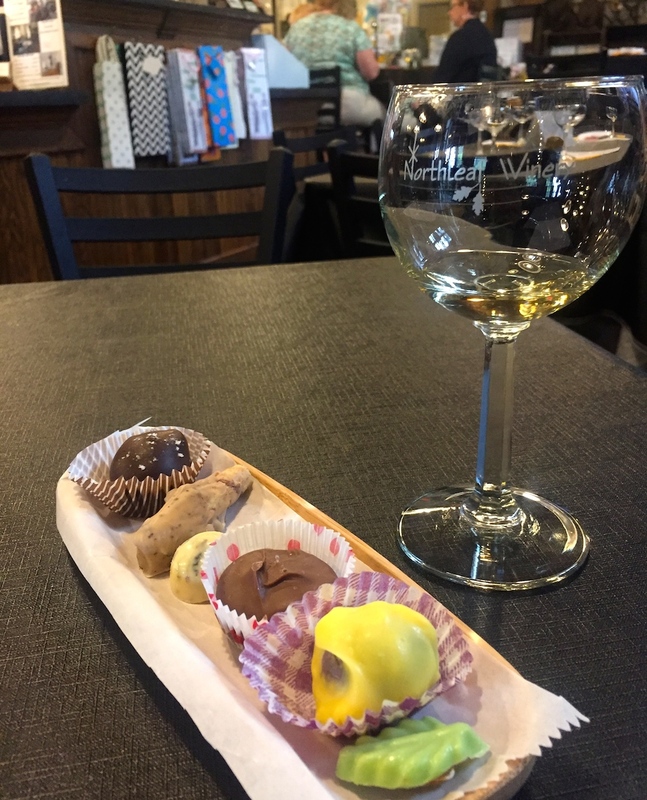 Northleaf Winery’s wine and chocolate pairings cost $12 and includes six wine samples each accompanied by a chocolate that changes seasonally. 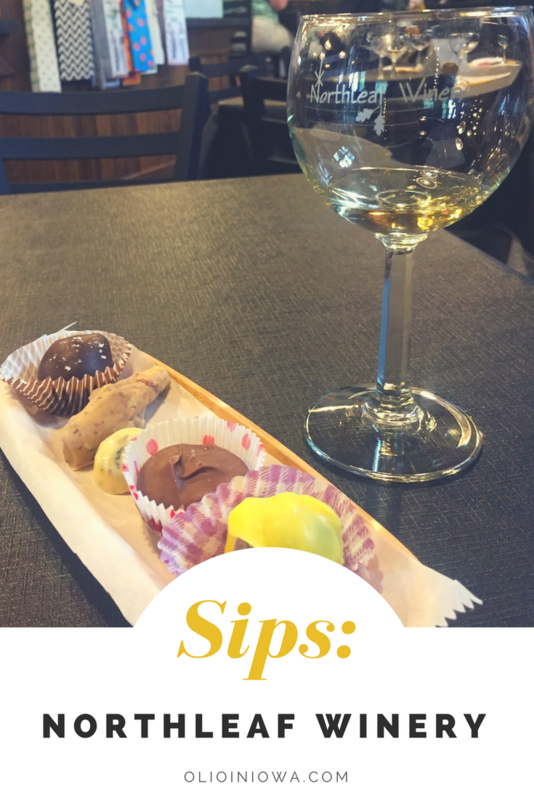 While I found a few new favorites in Northleaf’s stable of wines, their sweets are what really stole my heart. When I visited the keylime almond, hazelnut coffee and cream, and carmadillo proved perfect compliments to the wines I sampled. While the Green Apple Riesling was sweeter than I normally would choose, when paired with creamy carmadillo it tasted just like a real caramel apple. Instead of collecting unnecessary tchotchkes, lately I’ve loved taking home edible souvenirs from my trips. On my visit to Northleaf Winery I opted to take home a bottle of the Deep Roots Red Zinfandel, the winery’s signature wine with jammy ripe blackberries, and a hint of cinnamon. 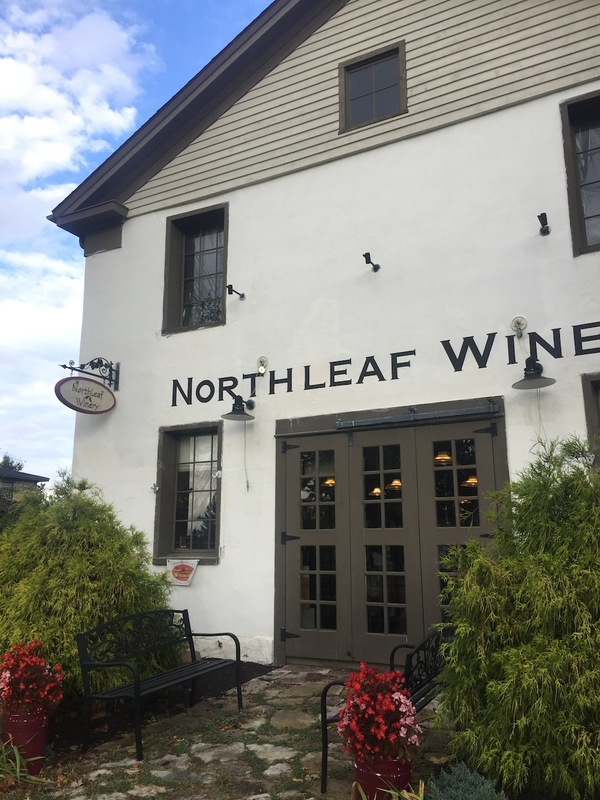 Whether you’re looking for a relaxing place to spend the afternoon or a place to host a group event, there’s no better spot than Northleaf Winery. When I visited the winery was busy and bustling with pairs and large groups alike. The winery offers a variety of tastings, including cheese and chocolate pairings. But they also host a variety of activities like wine glass painting and wine stopper making. Along with its tasting room, the winery also has a guest house with event space and a large deck below. Choose to spend a relaxing weekend in the winery’s cozy lodging or stop by on a warm summer night for live music on the terrace. I would love to hear from you! Have you visited Northleaf Winery? What’s your favorite thing to pair with wine? Looking for more things to do in the Janesville region? Check out the other places I visited on my road trip.